A look through the window at bare twigs and rotting brown vegetation in herbaceous borders on a cold winter’s day might suggest staying by the fire, turning the pages of the new season’s catalogues, perhaps checking notes from past seasons if the garden is maturing. Good and necessary to do but what about next year at this time? Will it be the same view out there or one to be admired? It’s early January and priority jobs include continuing any digging and trenching left over from December – keeps you warm as well as being good exercise! Clean and disinfect the greenhouse if it’s not already been done in late autumn. Order seeds from the catalogue or pick them up from the garden centre. Buy new compost as well. 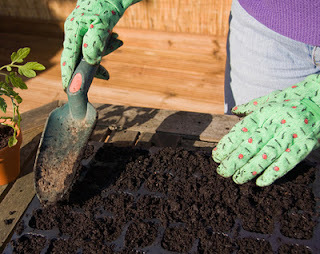 Plenty to do, plenty to grow indoors, or in a heated greenhouse or frame.